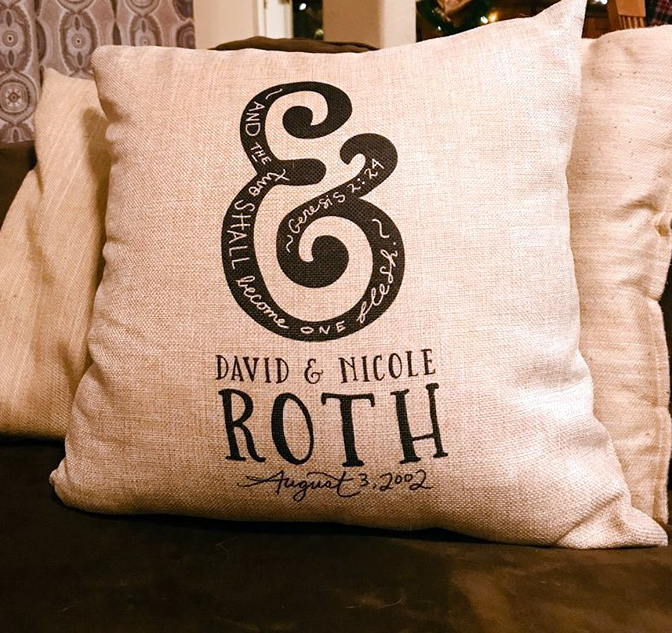 Here is a very unique and memorable way to celebrate a special wedding or give a gift to your spouse to recognize your own marriage. It will be a treasured gift for years to come! The pillow covers are hand printed with sublimation printing technology. Then it is hand pressed using a commercial grade heat press which takes the liquid ink into a gas state, thus becoming part of the fabric. This also makes them 100% machine washable. Wahoo!